MANCHESTER, N.H. - New Hampshire's senators are trying to help a U.S. citizen from Sudan working to save his pregnant wife, who has been sentenced to death for refusing to recant her Christian faith. 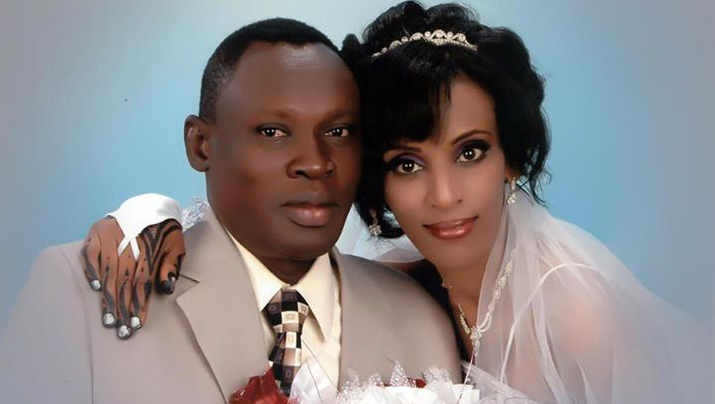 Daniel Wani is in Sudan, trying to save the life of his wife, Meriam Yeyha Ibrahim, who is jailed in the African country along with their 20-month-old son. Ibrahim, who is eight months pregnant, was sentenced to death by hanging after being convicted of apostasy by a Shariah, or Islamic, court in Khartoum. "I'm just praying for God. He can do a miracle," Wani's brother, Gabriel, who lives in Manchester, told WMUR-TV. "Everyone is depressed. You don't believe it. It's shock." Ibrahim, 27, is a Christian, but the court says she is really a Muslim because her father was a Muslim. In Sudan, Muslims who renounce their faith can be sentenced to death. She was also sentenced to receive 100 lashes for adultery - a charge brought because her husband is Christian. Under Shariah law, Muslim women are forbidden to marry outside their faith. Ibrahim says her father left the family when she was very young and that she was raised a Christian by her Ethiopian Orthodox mother. She was sentenced to death after refusing to renounce her religion. The court has said she will not be executed until after the birth of her child. New Hampshire's Sen. Kelly Ayotte and fellow Republican Sen. Roy Blunt of Missouri wrote to Secretary of State John Kerry, urging him to grant Ibrahim political asylum. "We request your immediate action and full diplomatic engagement to offer Meriam political asylum and to secure her and her son's safe release," the letter said. Sen. Jeanne Shaheen, D-N.H., called the death sentence an "abhorrent violation of fundamental freedoms and universal rights." "No man or woman anywhere should be treated as a criminal, much less sentenced to hanging for exercising the basic right of religious choice," she said. Meanwhile, the British government summoned a senior Sudanese diplomat to express its anger at Ibrahim's death sentence. Britain's Foreign Office said Monday it had summoned Sudan's charge d'affaires, Bukhari Afandi, and urged him to try to overturn the sentence.